This is super cute. I also see how easy it is to make. I need try to make stuff for my house so that I can be more festive. Where does one find light strands with crystals? They’re beautiful, but I’ve never seen them before. Thanks in advance! I love how easy and festive this garland is! I need to keep this in mind next year when I am shopping those after Christmas sales and score some light strands for cheap. I love this! It is so simple, but so cute! I really like the fabrics you chose. Thank you for linking up to The Creative Exchange! We will be featuring your project this week. Beautiful fabrics! And I love your idea about decoration – looks really amazing! So pretty!! Love the lights at night, too! This is so pretty! To be honest, I LOVE lights at night, it’s so romantic (those flameless candles, seeing a street lamp outside, anything) and this is such a great idea for adding some light wherever I want in the home! LOVE IT! I love this, so adorable!!!! I’ve seen lots of fabric garlands on Pinterest, but I LOVE the idea of using a string of lights!!!!!!! So so cute!!!!! I really love the fabrics that you used and it looks gorgeous with the lights! That garland is utterly adorable! That looks so easy and it looks great with and without the lights! I really love this idea, and it’s so simple to make, too! You did a really excellent job and you’re right, the pinks and reds really do stand out against the white wood. Beautiful! This is super cute and easy enough that even I could pull it off. I’m pretty craft challenged, lol. This is gorgeous, I like how festive it is. Thank you for sharing! That looks like such a great craft. And it won’t fall apart like other papery crafts. What a super easy and fun idea! It looks great! I really love the light string that you used. Jealous! Your garland is so pretty. How pretty! could use that idea for many holidays! That is SO pretty. I would never think to make garland for Valentine’s day but it really does look nice. I want to make some type of garland for my best friend’s wedding shower .. maybe you could do that next??? This is so cute! I want to make something like,this for my classroom and keep it up all year long. That’s really pretty! I bet Isaak would love to do a project like this with me. Thanks for sharing. That would be very appealing to my cats! LOL But seriously that is quite effective and looks easy to make. OH this is really cute…I need to go dig out some of my “twinkle lights” from the holiday closet and do this. 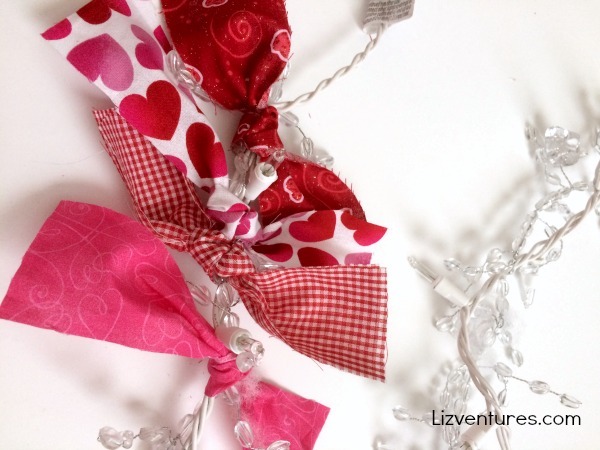 You can never have too many twinkle lights or Valentine fun! Thanks for sharing. Love the fabric you used – so cute. I would only worry that the lights would get hot and the fabric could be a fire hazard. Vday is my favorite holiday! I would love to recreate this for a festive decor setting! I love this craft! These fabrics are so pretty. I really like the lights on it too. What a neat idea! Thanks for sharing. Oh my, this is adorable. What a simple way to make things more festive. We did a similar garland for the winter, doing one for valentines is a cool idea. I like the lights in there because it acts as a night light, ideal for avoiding toys on the floor when getting water in the dark for small ones. We don’t usually decorate the house much for Valentine’s Day but I would love to try this out! 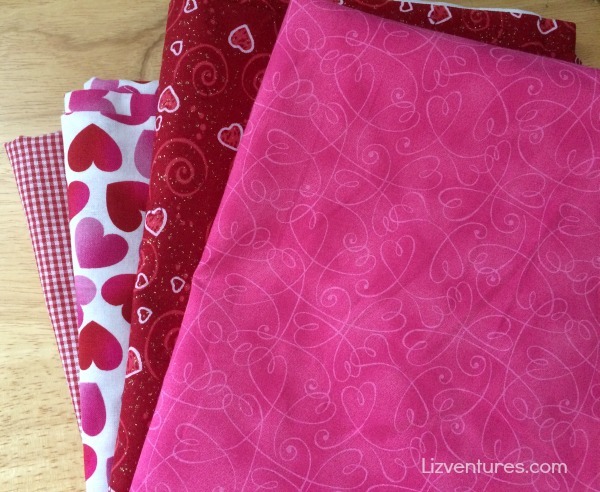 I’m sure I’ve got some leftover fabric laying around too… Great post! This is so darn cute! What a great addition to your Valentine’s Day decor! That’s so silly, I have never decorated for Valentine’s before but I might give you pretty garland a try. I love the touch of the lights! I meant to say so pretty. Multitasking posts is not smart. I have a space in my kitchen this would be perfect for! Your’s is so pretty! How cute and festive for Valentine’s Day! I love that you used the left over Christmas Lights to make it. Love it! What a great idea. It looks fantastic – like you bought it at a store. I can definitely try this – thanks for the idea! 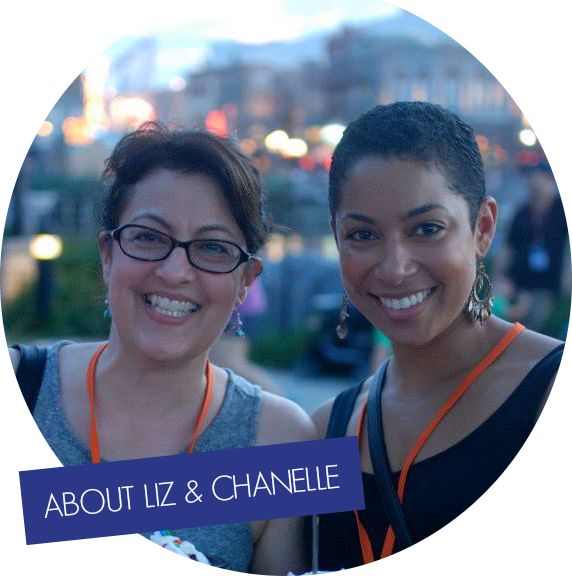 I love this project, Liz! It’s very simple but it’s also very lovely. It’s something that one can tweak for other occasions. I appreciate you sharing this. Imma do it one of these days. How darn adorable is this?! I loved the first picture just showing the fabric but didn’t even realize that the string was a strand of lights… then you showed it all lit up and it was even cooler!! You’re so crafty! Looks awesome. I like crafty works, but I have never tried something like this. You have great creativity. I really love the color combination you have chosen. Will have to try this for sure. Thanks for sharing your idea. I had to pin this immediately. This would be so much fun to do with my daughter. Thanks for sharing! This looks so amazing. I have the perfect fabric to try making one of these. Wow. The finish product was amazing. I will let my kids and wife see this. Thank you for sharing! Liz my favorite holiday is V-Day and this is simply adorable! 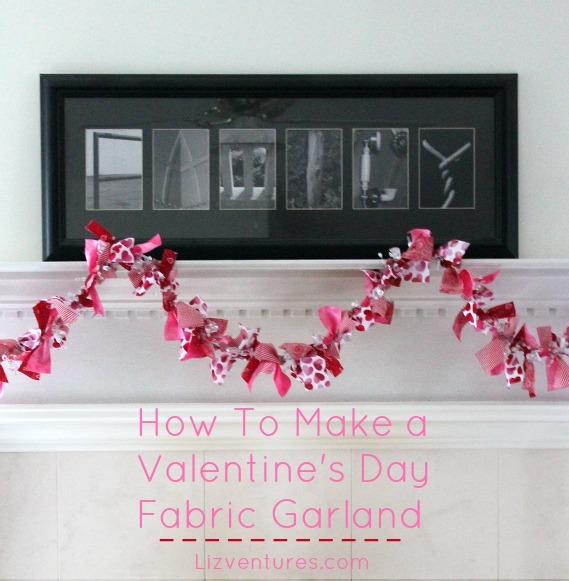 I love garlands and I never thought to make some out of fabric what a great idea! Very creative of you. Perfect for the coming Valentines. I am not so crafty like you, this would nice on my living room. Liz, this is so cute. I am not much of a crafter but I could make this. you make it look so easy. I may have to try this. Oh wow, is that ever pretty! I don’t decorate for this holiday but, if I did, I would go for something minimalist but incredibly festive like this. Nice job! Awwwww that is so darling! I want to try to make one! Love this!! It’s a great idea for any holiday. I suppose if you wanted to untie them and change the fabric each holiday, you could? Though probably easier to just make different ones. I think I have some lights I never used for Christmas. I may have to try this! The kids can even help me tie them on. Thanks for a great craft idea! It looks great. Oh my goodness … how pretty! It looks super easy, too. This would even be great for St. Patty’s Day, Mardi Gras, etc. Thanks for sharing. Absolutely stunning! I never thought of doing this with lights. I’ll have to pull out a strand of Christmas lights and try this diy project. Very creative. Very nice decoration. Maybe my daughter and I could make this together. Thank you for sharing. I love this. It makes the whole room love so festive and ready for a holiday. I’ll keep it in mind for Christmas too. I think this would be a great idea for almost any holiday! Especially with all the great fabrics out there. The lights are the best part! I’m definitely doing this with my kids. It will be so pretty at bedtime! Seriously?! So cute and easy. I love how it looks in both the day and night. I really wish I had a fireplace for stuff like this but hanging in front of a long entry table will have to do. I love this! I’m not real crafty but I think this is something that even I can do. I might be able to get my girls in on it as well. Great idea! Stunning! I think this is soo cute! Your images are great, too! That is so adorable and looks really easy to make. I think I could manage to have one turn out well! That is such a cute idea and it wont fall apart like paper crafts. Great point! I love that the kids can help make it without tearing the darn thing to shreds! I have the perfect fabric to make this. I will have to try it and see how it looks. What a fun and easy idea. Thanks so much for sharing. PINNING! That is so cute. We don’t really decorate for the holidays, with the exception of St. Patricks Day, Christmas and sometimes Halloween. This is a great idea though to use other fabric for other events. You are amazing. I wish I was crafty, but I am not. Your house always looks so beautiful and festive. I love this with the twinkle lights. Adds a whimsical touch! That is what I was thinking. The twinkle would make our fairies very happy according to kiddo. It looks so pretty. Where did you get the crystal mini lights or did you make that too? That was so easy to do it and it looks great over the fire place too! That is beautiful! I noticed you changed your blog. You are not “A Nut in a Nutshell,” anymore? I love your blog’s new transformation and name. Have a terrific day! Brilliant idea! Nice choice of fabrics too. Now I feel like I want to decorate the mantel too. that’s so PERFECT! I am going to have to make one. I imagine you can use red or pink lights too. SO pretty! I love fabric garland so much. You’ve inspired me! Oh wow, that is so cute. 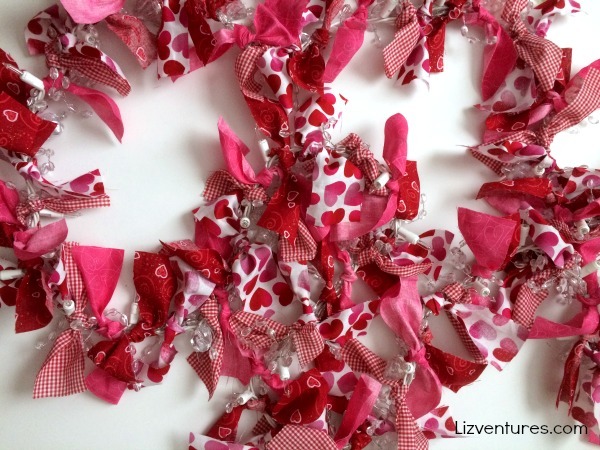 I just made some fabric hearts garland and now I’ve just got to make some like this as well. I love the lights as well. Love this! My favorite part is how you added the lights.. There is just something about that added glow. I love this! My daughter always likes to hang lights for each holiday or season. So this would be a great project for us to do together. She always has lights hanging in her room and likes to decorate them. I can’t wait to try this with her! Thanks! What an awesome idea! I’ll have to see what fabric is lying around the house and try making my own. This is so so pretty! We don’t have a fireplace, but I could definitely make this with Emily and put it on the banister of our stairs! Wow. That is so pretty with the lights. I would totally enjoy those on my mantel as well. 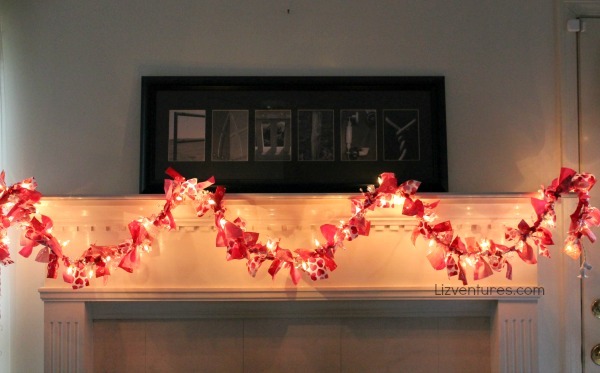 This is so cute Liz, I need to make a garland for my bar. Love this! So cute and so easy – what a great idea!!! I pinned your post to my Craft Board! I want those lights! 🙂 You know, I’ve never decorated for V-Day before, but love this idea. And, it looks easy enough for someone non-crafty (like me) to do. I don’t decorate for Valentine’s Day either but this would be easy to also switch through holidays, just change the ties to St. Patrick’s Day, Easter, etc. Awww, this is so cute! I love how it turned out and it looks SO easy to make! You could do this for any holiday that you wanna decorate for. Now, I just need to find some cute fabric! How cute is that!? I think this would be a fun and simple craft to do with my kids! Wow! You are so creative! I never would have thought of making this cute valentine diy! Love it! What a pretty looking garland it it looks great on your mantle! How cute! I love this garland! I like to decorate for all the holidays and just might make something like this with my daughters. Thanks for the idea! I love decor like this! It just adds something special to your home for the holidays that don’t always get the attention that Christmas or Thanksgiving does. Seems like very easy to do also. This is an awesome idea and it is so easy to do too. It looks just gorgeous and I will have to make one of these. Thanks for sharing. That is adorable looks great!! I love how easy it is to make and how it spruces up the area. Really love the fabric designs! February is coming up soon, so I better get ready! Oh my right?! I can’t believe how fast January is passing us by! In a month it will be Valentine’s Day already!! This is so cute and easy. 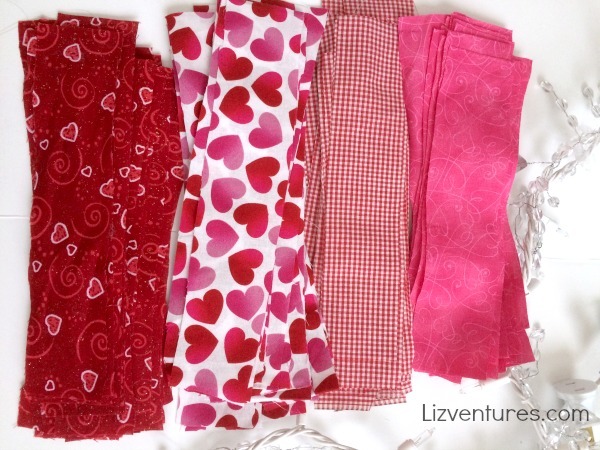 Valentine’s Day fabric is so cheap right now since most craft stores are just trying to unload their stock. What a fun and creative idea! You could do this for just about any holiday just by finding holiday fabric you liked. Reeally cute. 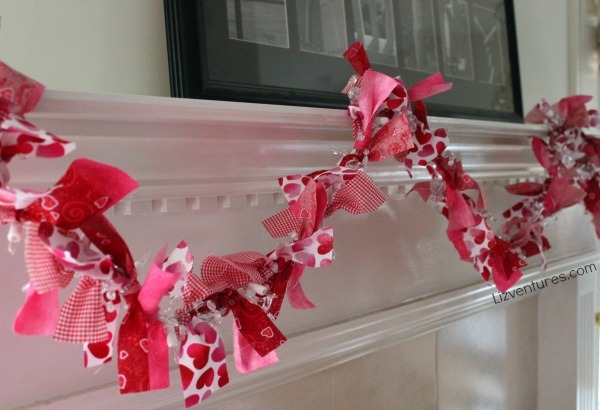 I would have never thought of making a garland for V-Day. This is so cute! I love the different fabrics! It looks beautiful and it doesn’t look too hard either. I love your color choices! This is so cute. I love it. It really brightens up the room! so very cute and easy!! this is definitely going on my Valentine’s Day Pinterest board! It did turn out cute as can be. I bet it’s comfy/homey/nice to look at too, when you’re just chilling at the end of the day. I love how beautiful it is, and you make it look so simple! I also like that I can use any fabric I might be able to find, I don’t have to use the same ones if I can’t find them. Such a cute idea to use the lights with it on your mantle. Fabric garlands have been so popular in party decor lately too. Making a Valentine Garland in itself is unique, but its looks great accompanied with the lights. I think this garland looks wonderful. Would be a nice little project to do with the kids! That is so pretty! I really wish I had a mantle! How pretty and I have lots of lights doing nothing now that Christmas is over! Thanks for the great idea. I love this idea. Such a cute and easy way to decorate for Valentines Day. I love your choices of fabric. This looks really awesome and would be a lot of fun to make. This is really awesome, I love how it all looks so perfect for Valentines! This is so adorable! It is also a great use for those Christmas lights that just sit around the house for the rest of the year! I absolutely love the sparkle garland you put in the light string with the fabric! What an adorable holiday garland. What a cute idea, these would be great to make for all sorts of holidays! I love this – turned out great! This is a very cute colorful garland. I like the way it lights up. I also like that it is fabric and can be used over the years. This is really cute and clever. I love it with the lights! So adorable. oh how stinking adorable is this garland? I was just telling my husband how I wanted to start some crafts for Valentine’s Day! I need to find this light strand. This is adorable! I love the lights and feel like you could change out the fabric for different holidays or events! This is adorable! I need to get on this, Valentines day will be here before we know it! What a great way to make a garland. I l like that it’s nice and easy to customized and the end result looks great. Super cute and festive! I love stuff like this, I don’t usually decorate for Valentine’s but I think something like this would he adorable! This is so cute! My daughter would love helping me make this to decorate our mantel! Thanks for the inspiration, especially as I probably have all the fabric I need in my fabric stash already. How pretty! I love how easy it looks to make! Oh wow this is so pretty and it looks like I could actually do it!! Ha, that is so funny… I was thinking the same thing. Something I could actually do 🙂 HA! What a pretty idea??!! I love things like this that are really simple to create, but make a big impact. Love it!! OMG that garland is way too wonderful – dreamy and valentines – lovey hha! Did I just say that right – but it is beautiful! I love how it was done! How fun and festive. I love that you added the lights too for nighttime viewing. 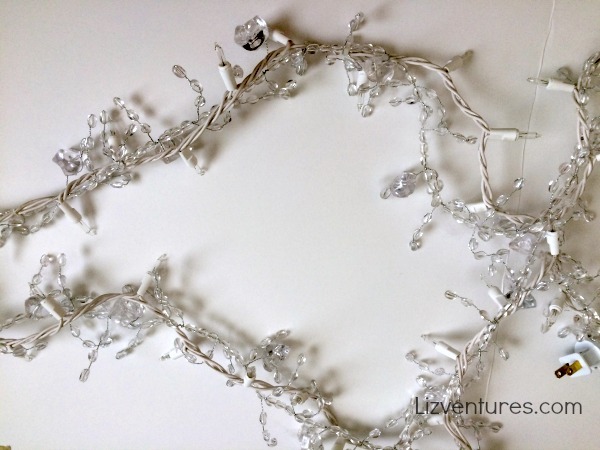 Love this garland…looks way prettier than anything that could be purchased in a store. Can’t wait to make my own! That is absolutely gorgeous! I have to make this, my kiddos would love to help with this project too! The garland looks great! I’ll have to try this. that is just adorable. Very creative. Oh my what a cute idea. This looks super cute and so easy. This is so adorable and easy to put together. I have to copy you. I love the instant gratification on this one! This makes me want a fireplace with a mantel. This is absolutely adorable. That is such a cute idea. It would be perfect for those scraps of fabric I have. I love that you added lights to the garland! I think it would have been pretty without, but that just adds a nice touch! That looks really pretty. I love red, its my favorite color. Lovely garland! I love the lights, too! Adds a romantic element to it! I love this so much! And one thing I actually have is tons of scrap fabric laying around. I always knew I kept the scraps for something! I have always wanted to make something cool like this! I have so much scrap fabric too hanging around here! This looks so beautiful. I’ve never thought of decorating for Valentine’s, but this looks great. Very nice <3 I love this idea. I saved a picture to my Pinterest. Thank you for your great instructions as well!!! That is really pretty-especially at night! Unfortunately I have no place to put a garland or I would surely make it! It’s definitely festive without being over the top. I think it is such a cute idea. What an adorable garland! You could use different colors and prints to make this for just about any occasion. My mom swaps out her mantle garland for each holiday, and it makes the whole room seem festive. I need to make your version quick. That is so pretty! And I love how simple it is to make. that is super cute! I was just thinking how bland my mantle looks now that the Christmas decorations are gone. What a unique and clever way to add some fun and color to a room. The lights add another level of prettiness to this craft. How adorable…and easy!! I love it!! Going to start shopping for fabric scraps and reuse some white Christmas lights. Beautiful! So cute! I have been looking for just the right garland, this is perfect! oh this is really cute! it looks easy and I love the light strand you used. Something like this would look adorbs in my daughters bedroom – thanks for the idea! this is so sweet! I sure wish I had a mantle! This is so super cute and easy to make! It’d go great in my home too! I agree, I would love to make these and decorate my house. I like how easy it is to make. This looks so beautiful! I would love to decorate my whole apartment with this garland! I love the combination of the fabric and fairy lights. That is so adorable. Thanks for sharing this. Eeek!!! I LOVE that! It’s so cute!!! Especially love the fact that it has two different looks: day and night! This is such a neat and crafty idea. It came out really great. I can’t wait to try to make one. Oh, I am SO making this. It’s too cute! The lights are a nice touch. That is just adorable. This looks like the perfect project for me and my daughter to do together. I love how beautiful and easy this is. Loving this craft. I have never seen a Valentine’s garland. How cute! I love the fabrics you decided to put together. Oh, the things I would craft if I had a mantel. Adorable! this would be great for a photo background also!!!! This is lovely and so simple. That is such a cute idea! I am gonna have to make this and use it to decorate in our living room! I’m not a huge holiday decorator, but my daughter loves changing her room up for every holiday, she would definitely enjoy this. Will share with her! Great idea! This is so cute! I’m going to forward this to my mom. She loves stuff like this. This is really beautiful. I think I’ll do this with the boys. They’ll love it! My two would get a big kick out of this,too! They’d love helping! That came out awesome. I don’t normally decorate for Valentine’s Day, but this would look awesome in my living room!